Millard Evelyn Tydings (April 6, 1890 – February 9, 1961) was an American attorney, author, soldier, state legislator, and served as a Democratic Representative and Senator in the United States Congress from Maryland, serving in the House from 1923 to 1927 and in the Senate from 1927 to 1951. Tydings was born in Havre de Grace, located in Harford County, and was the son of Mary Bond (O'Neill) and Millard Fillmore Tydings. He attended the public schools of Harford County and graduated from Maryland Agricultural College (now the University of Maryland, College Park) in 1910. He engaged in civil engineering with the Baltimore and Ohio Railroad in West Virginia in 1911. He studied law at the University of Maryland School of Law, in Baltimore, and was admitted to the bar; he started practice in Havre de Grace in 1913. In 1916 Tydings was elected to the Maryland House of Delegates; he was elected as Speaker of the House by his colleagues from 1920 to 1922. He served in the Maryland State Senate during 1922-1923. Tydings served in the U.S. Army during World War I and was promoted to Lieutenant Colonel and Division Machine-gun Officer in 1918. He served on the Western Front with the American Expeditionary Forces and received the Distinguished Service Cross and Army Distinguished Service Medal. In 1922, Tydings was elected as a Democrat to the 68th session of the US Congress, and was re-elected to the 69th session, representing the second district of Maryland (March 4, 1923 – March 3, 1927) in the House of Representatives. He was not a candidate for renomination in 1926, having become a candidate for the United States Senate. He was elected to the Senate in 1926, 1932, 1938 and 1944, and served from March 4, 1927, to January 3, 1951. With Alabama Representative John McDuffie, he co-sponsored the Philippine Independence Act, commonly known as the Tydings–McDuffie Act, which established an autonomous 10-year Commonwealth status for the Philippines. It was planned to culminate in the withdrawal of American sovereignty and the recognition of Philippine Independence. In January 1934, Tydings introduced a resolution "condemning Nazi oppression of Jews in Germany, and asking President Roosevelt to inform the Hitler government that this country was profoundly distressed about its antisemitic measures." His resolution was bottled up in the Senate Foreign Relations Committee. During his time in the Senate, Tydings was well known for taking principled, controversial, often unusual stands on various issues. 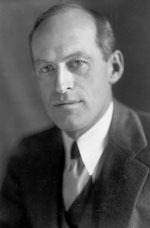 He opposed the New Deal due to his fiscal conservatism, and proposed a constitutional amendment requiring the federal budget to be balanced at all times. He was a strong critic of Prohibition prior to its repeal in 1933. Following the end of World War II, when the US dropped two atomic bombs on Japan, Tydings sponsored a bill calling for the U.S. to lead the world in nuclear disarmament. In March 1950, Tydings was appointed to head a committee, generally known as the Tydings Committee, to investigate Joseph McCarthy's early claims of Communist penetration of the federal government and military. The hearings revolved around McCarthy's charge that the fall of the Kuomintang regime in China had been caused by the actions of alleged Soviet spies in the State Department, and his allegation that the Sinologist Owen Lattimore was a "top Russian agent." The hearings, held from March to July 1950, were stormy as charge was met with counter-charge. In McCarthy's first 250 minutes on the stand, Tydings interrupted him 85 times with questions and demands for substantiation, enraging McCarthy who condemned Tydings as an "egg-sucking liberal" . As such, the trial attracted much media attention, especially after Louis F. Budenz entered the proceedings as a surprise witness supporting McCarthy's charges. In July, the committee published its report, concluding that McCarthy's accusations were spurious and condemning his charges as an intentionally nefarious hoax. When Tydings ran for re-election in 1950, McCarthy's staff distributed a composite picture of Tydings with Earl Browder, the former leader of the American Communist Party. Tydings had never met him before Browder testified in July 1950. The composite photo merged a 1938 photo of Tydings listening to the radio and a 1940 photo of Browder delivering a speech; the text under the composite photo stated that when Browder had testified before Tydings's committee, Tydings had said, "Thank you, sir." Although the quote was technically accurate, it was generally held to be misleading, as it implied a degree of amity between Browder and Tydings that did not exist. In the 1950 election, Tydings was defeated by John Marshall Butler. In 1956, he was nominated as the Democratic candidate for the United States Senate but withdrew before election due to ill health. During his congressional service, Tydings was chairman of the United States Senate Committee on Territories and Insular Affairs (73rd through 79th Congresses), the Subcommittee on the Investigation of Loyalty of State Department Employees ("Tydings Subcommittee") (81st Congress), and the U.S. Senate Committee on Armed Services (81st Congress). Millard E. Tydings died at his farm, "Oakington", near Havre de Grace, Maryland. He was buried in Angel Hill Cemetery. His gravestone incorrectly gives his Senate election year (1926) as the start of his Senate service, which began in 1927. The Millard E. Tydings Memorial Bridge, which carries Interstate 95 across the Susquehanna River, is named in his honor. Millard E. Tydings Hall at the University of Maryland, College Park, which houses the departments of Government & Politics and Economics, is also named for him. His adopted son, Joe Tydings, was elected to a term as a U.S. Senator from Maryland in 1964, but was defeated for re-election in 1970, serving from 1965 to 1971. His wife was Eleanor Davies Tydings. Her father was Joseph E. Davies, who served as US Ambassador to the USSR, Belgium and Luxembourg. His granddaughter Alexandra Tydings is a former actress. The law firm which Millard Tydings formed with Morris Rosenberg continues its law practice today in Baltimore, MD. ^ Lawrence, Joseph Douglas (1985). Fighting Soldier: The AEF in 1918. USA: Colorado Associated University Press. p. 148. ISBN 0-87081-158-4. ^ a b "Papers of Millard E. Tydings". University of Maryland. ^ Evans, M.Stanton (2007). Blacklisted by History. USA: Crown Forum. p. 429. ISBN 978-1-4000-8105-9. ^ "TYDINGS, Millard Evelyn - US House of Representatives: History, Art & Archives". history.house.gov. Retrieved 26 April 2018. ^ "Millard E. Tydings". www.nndb.com. Retrieved 26 April 2018. ^ Tydings. "Baltimore, Maryland Business and Litigation Law Firm". www.tydingslaw.com. Retrieved 2017-12-15.